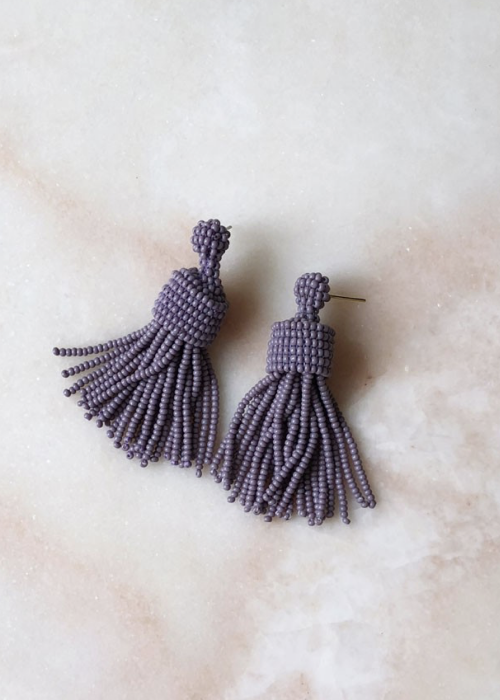 Make a statement with the Cara earrings from Spanish designer and artist Paloma Wool. Made in eco-friendly durable fiberglass, this colorful pair is light weight and will instantly brighten up any look. Ethically made by hand in India. 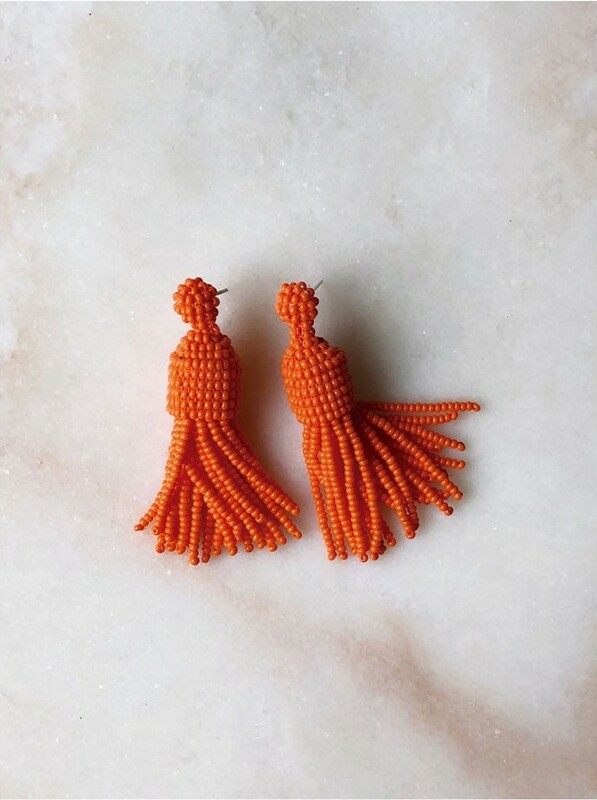 Also available in orange. Tassel-shaped fiberglass beads earrings. Brass closure with anti-allergic bath. 100% fiberglass. Made in India.